This story takes place in an English Girl’s Boarding School. However, it contains a foreign revolution, a young prince with a fortune in jewels and a young English pilot. The jewels are smuggled out of the country and end up in the girl’s school, where someone who knows they are there and is willing to kill comes after them. The plot seems to progress slowly at first, but the players and setting are being carefully and skillfully arranged. I was soon involved in the characters and by the way they were described could ‘see’ them in my mind. I figured out before it was revealed how the jewels were smuggled and where in the girl’s school they were, but it was not an obvious revealing, just putting a couple of clues together. The end was a surprise, especially when someone I was sure was involved was murdered! 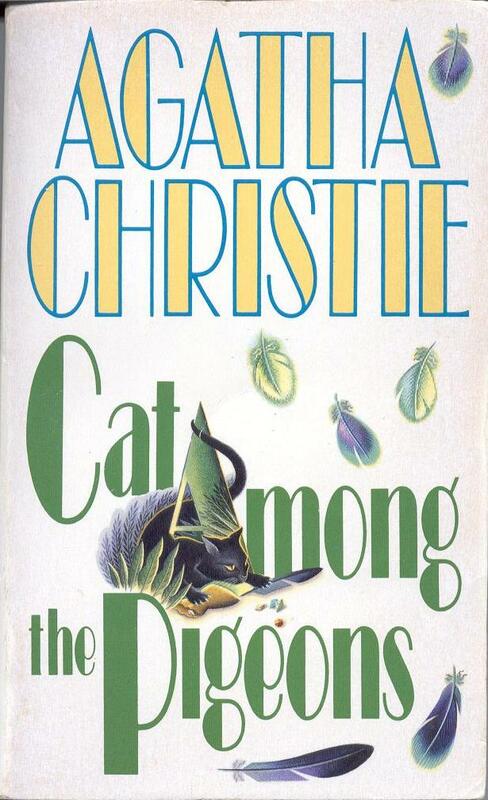 Cat Among the Pigeons is a perfect example of why Agatha Christie is called the Queen of Crime. Posted by Belleza on January 18, 2009 in Mystery and tagged Recommended to read, Review.